In this article we take a detailed look at HIIT training and look at how you can use it to boost fitness, shred body fat and build muscle. High-intensity interval training (HIIT) has become a training revolution over the last few years. Many people are now ditching the steady state cardio in favor of shorter, more challenging workouts that focus on intensity rather than duration. But is HIIT as good as what your trainer suggests? High-intensity interval training (HIIT) is a training system that involves short periods of high intensity exercise, followed by periods of recovery. There are hundreds of variations on the high-intensity interval workouts, but most involve intervals of 20 seconds or more at maximum intensity, followed by rest intervals of 1-5 minutes. The one thing that doesn’t change though is this – work intervals are all-out, full-on intensity. We’re talking head down and full power intensity too. Sessions can be as short as 4 minutes, or as long as you want them to be based on fitness levels. As a system of exercise, it differs from the more traditional steady-state cardio, where the emphasis is on duration rather than intensity. It’s common to use cardio machines for HIIT workouts, however many people choose to introduce outdoor workouts into their routine using sprinting, hill running, swimming or road cycling. More recently, trainers are choosing to integrate resistance training instead of cardio too. You can perform body weight circuits or use portable equipment at home. 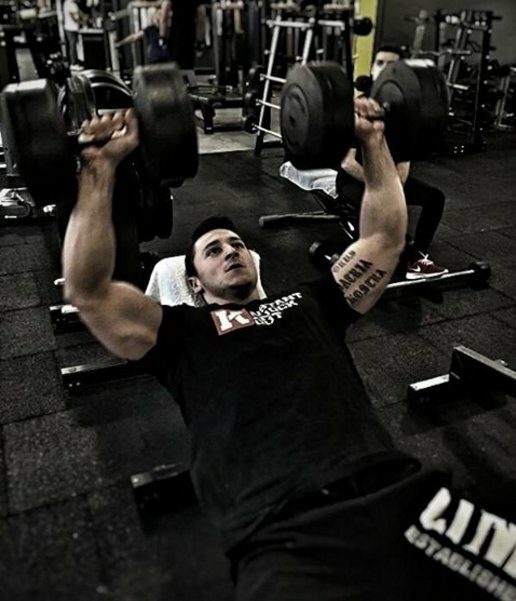 Alternatively, you can structure a tough workout in the gym using heavier dumbbells and barbells also. It’s an extremely flexible workout style that offers a number of physical benefits. High-intensity interval training involves repeated bouts of hard, but short work, followed by easier recovery periods. You can perform HIIT workouts using cardio equipment, at home with portable equipment, outdoors, or even using strength training. The Science: What Does The Research Say About HIIT? In the grand scheme of things, high-intensity interval training is fairly young. Compared to the old-guard methods of cardio or circuit training, interval training hasn’t been around that long. But what it lacks in age it makes up for in popularity. Because of its flexibility, HIIT training can be used by athletes, the overweight, those with medical issues and even older adults. Does HIIT really work for weight loss? The majority of people incorporate interval training into their weekly fitness routines for fat loss. And the research back this up too, suggesting that it is a great calorie burner. Interval training also provides a potent afterburn stimulus by boosting calorie burning after your workouts. It does this by elevating what’s called excess post-exercise oxygen consumption. One study demonstrated this when they found that exercise involving 100% intensity intervals led to elevated fat burning for a full 24-hours after a workout . Steady-state cardio on the other hand had far less optimal results. One of the most research aspects of interval training is how it matches up to steady-state cardio for fat loss. And the research shows that there’s actually not that much difference in terms of 24-hour energy expenditure in groups that take part in either moderate-intensity cardio or HIIT, despite a much shorter workout, low time commitment and lower total volume of training . Go for a 2-hour walk, a 1-hour jog or put yourself through a 10-minute interval workout? Can HIIT really build muscle? Many people have concerns that too much cardio can cause muscle loss. And in many respects that’s true of long, excessive cardio bouts. After all, you don’t see many muscular marathon runners do you? The beauty of HIIT though is that it can trigger hormonal changes that help to not only preserve, but in may circumstances, actually build muscle too. It’s well known that one chemical pathway by which muscle cells grow involves growth hormone and one of its subset, IGF-1. These are both important mediators of muscle growth . Interval training has also been seen to not only improve muscle size but also strength and power . One often forgotten benefit of interval training is that it really works to optimize hormone levels. One hormone in particular – testosterone – has been shown to rise steeply after HIIT training. As a natural anabolic hormone, testosterone is important for both men and women. In cyclists taking part in HIIT training, 8, 30-minute explosive workouts were seen to lead to a 97% increase in testosterone . A steady-state group that acted as a control also saw an increase in hormone levels – but only just above 60%. Men have 15 times more of the hormone in their blood than women – and even they need a huge amount of weight lifting to achieve muscles. Key Point: HIIT works by helping you burn fat, build muscle and optimizing hormonal health too. HIIT: Are There Any Safety Concerns? “Importantly, HIIT programs are not only effective, but safe” . Like with any exercise method, high-intensity interval training comes with some risks. It might not be the best choice for unconditioned or sedentary people without first establishing a base of fitness. And because it’s more challenging than traditional training, HIIT should only be used once or twice per week to begin with – no more than 3 times per week if you’re a fitter individual. Although there are numerous benefits to lacing up your sneakers and having a go at some intervals, it’s worth checking with your physician first – especially if you have concerns over your own health. But regardless of your age, fitness or lifestyle, there are benefits to adding HIIT into your workout routine – it works, that’s for sure.